Virat Kohli is an Indian Cricket player. He is known for his aggressive batting style and often called ‘Run Machine.’ He remains in media for his performance. Kohli has also been the Captain of the Indian Cricket Team. He has several tattoos over his bodies. Let us check them out. 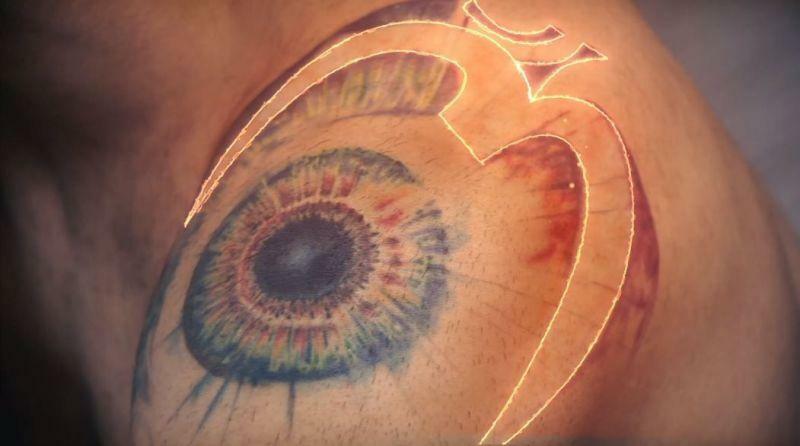 Tattoo: The first tattoo on his left shoulder is ‘God’s eye’. Tattoo: A Japanese Samurai warrior with a raised sword is tattooed on his upper left arm. Meaning: He says this is one of his favourite tattoos. The Samurais were depicted as the warriors of pre-modern Japan who believed in living the life based on loyalty to one’s master, self-discipline and respectful, ethical behavior. Virat Kohli believes that he gets his strength from this sword inked and has studied self-discipline and self-constraint from Samurai. Tattoo: Next tattoo inked on his left arm is of his ODI cap number 175. 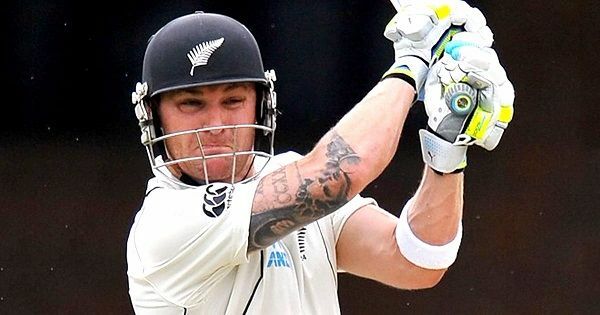 Tattoo: On his upper left hand, his Test Cap No. 269 is inked. Tattoo: On his upper left arm, his mother name, ‘Saroj’ is inscribed. Tattoo: His father’s name is also inscribed on his left hand. Meaning: He has supported hugely by his father and mother throughout his life. He has a special respect for his parents in his heart. He got their names inked on his hand. Tattoo: The Lord Shiva Tattoo on his left forearm. Meaning: Virat is a worshipper of Lord Shiva. So, he has a tattoo of Lord Shiva with meditating image of him on mount Kailash near Lake Mansarovar. Tattoo: He has got a Monastery inscribed on the left side of his shoulder. Meaning: Monastery tattoo on his shoulder, is a symbol of a place of peace and power. Tattoo: Scorpio Tattoo on his upper right arm. 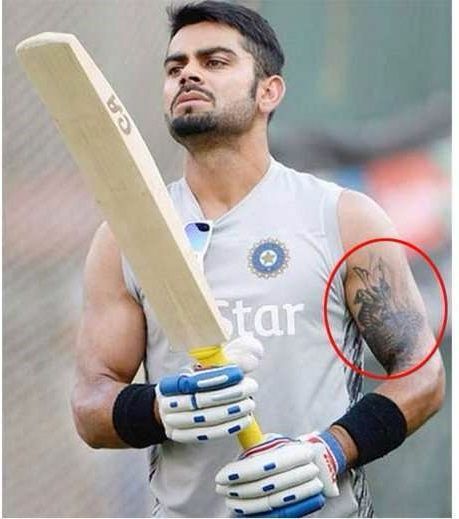 Meaning: Virat Kohli has inked a Scorpio, which is his Zodiac sign, written on his right bicep. Tattoo: Religious letter in Hinduism, ॐ (OM) is just near the God’s Eye tattoo on his shoulder. Meaning: According to Kohli, it is a symbol of spiritualism. The Om symbol, which is the universal sound, which is probably the most consistent thing in the whole universe. “I’ve started to understand that now… So, I have started to realize strongly that I’m meant to be where I am and this is not random,” said Kohli. Tattoo: Tribal Tattoo on his right forearm. 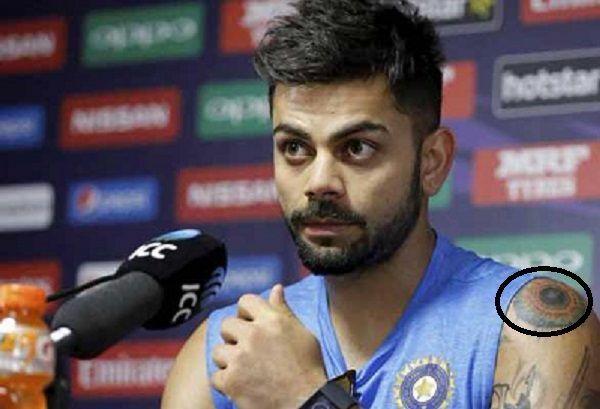 Meaning: Virat Kohli got this tattoo inked because it is a symbol of aggression.